Part of the Inner Hebrides, 10 miles west of Mull and the Treshnish Isles, Coll can be reached by ferry from Oban. 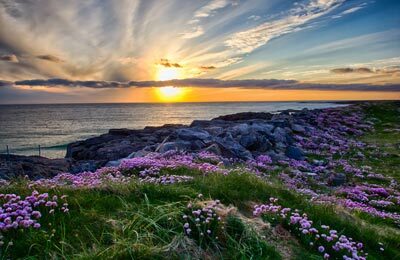 The island is low lying, with a landscape of sandy beaches, dunes and peat bog, freshwater lochs and rock. The view to the west on a clear day gives a panorama of the Hebridean islands. 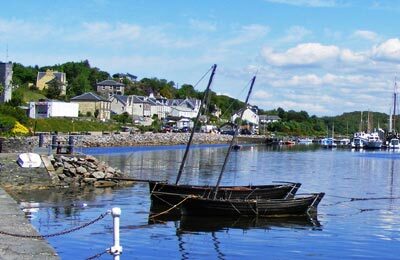 Coll has only one village, Arinagour, situated one mile north of the main ferry port. Arinagour is typical of a Hebridean fishing village, built 150 years ago, with marvellous whitewashed cottages.